The Marine Corps is getting ready for a potential surge of women in recruit training and military occupational specialties schools now that the service's gender integration plan has been approved, Marine Corps Times has learned. The Defense Department announced Thursday that Defense Secretary Ash Carter had formally approved the military services' plans to allow women to serve in MOSs that had been restricted to men only. Commandant Gen. Robert Neller has ordered Marine Corps Combat Development Command to ensure that all formal learning centers have the facilities to accommodate student populations and staff members of up to 15 percent women, according to the Marine Corps' plan. The 15 percent figure is not meant to be a limit or quota on how many women can train for the newly opened MOSs, Marine Corps times has learned. Rather, it is intended to make sure the service is prepared to house, equip and train as many female Marines as possible. Marine Corps Recruiting Command expects to begin contracting women for previously closed MOSs on or about April 1, said MCRC spokesman Jim Edwards. The gender integration plan calls for all ground combat arms units at the battalion level to have at least two female officers or staff noncommissioned officers from the Marine Corps or Navy at least 90 days before junior enlisted female Marines arrive. Cpl. Allison DeVries talks with Pvt. Alec Hettinger, a data recorder, following an artillery assessment. The staff records everything from accuracy and speed to a Marine's feelings following an exercise. "Female leaders' principal role is to serve in their PMOSs [ primary MOSs] in ground combat arms units," according to the plan. "Their presence is also intended to help acculturate and socialize previously all-male units to working with female Marines. Finally, their presence will also create mentorship opportunities with female (and male) Marines." Eventually, the Marine Corps expects to have enough female enlisted leaders and officers serving in ground combat units that this requirement will no longer be necessary, according to the plan. 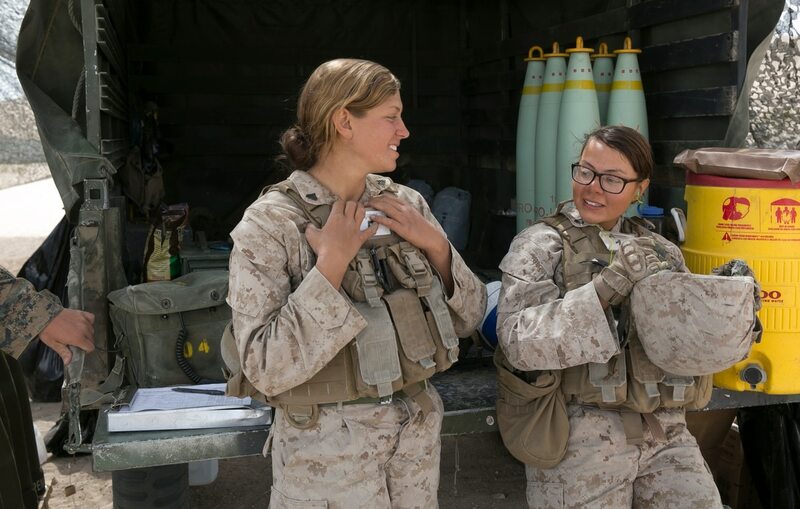 Just like their male counterparts, female Marines will be assigned forcewide to ground combat arms units based on the needs of the Marine Corps, the plan says. 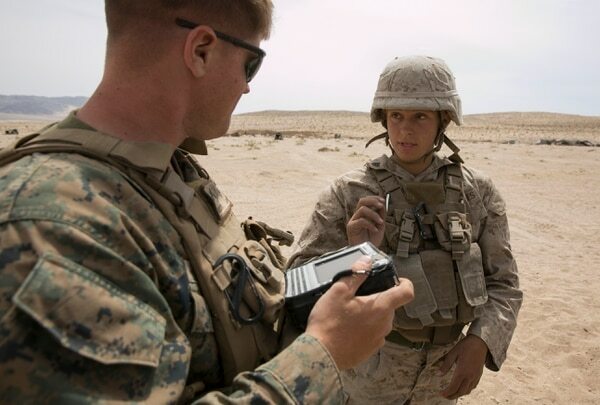 "As a result of our research, the Marine Corps instituted clearly defined gender neutral, operationally relevant, individual performance standards across the spectrum of Marine training and military occupation system (MOS) designation, which facilitates the matching of Marines to jobs for which they are best qualified," said Marine Corps spokesman Capt. Philip Kulczewski.